Spring Valley Fish Oil Review - Is it Really Effective? This review examines Spring Valley Fish Oil, which contains omega-3 fatty acids to help manage blood pressure, prevent heart disease, reduce triglycerides, and slow down plaque build up in your arteries. There is widespread consensus that eating fish twice a week is the best way to get two kinds of omega-3 fatty acids including EPA (Eicosapentaenoic Acid) and DHA (Docosahexaenoic Acid). Unfortunately, between the cost of fish, any efforts it takes to prepare it assuming you are a 'fish-person' to begin with, many individuals are choosing to take fish oil capsule supplements instead. This appears to be a good ingredient list. It is gluten-free and has no artificial colors, flavors, yeast or starch. When looking at the labels on fish oil supplements, it’s important to note how much EPA and DHA omega-3 fatty acids are contained in each capsule. Overall recommendations are for Omega-3 supplements to contain at least a 1500 mg daily dose of Omega-3 including 800 mg EPA and 600 mg of DHA. Spring Valley Fish Oil contains 300 mg of Omega-3 per capsule and 260 mg of EPA and DHA which falls short of the recommended daily requirements. Spring Valley lists a serving size as one softgel. Adults should take one softgel three times daily preferably with a meal. Individuals who are pregnant, nursing, taking medications, or with prior health conditions should consult their doctor before using this product. If any adverse reactions occur, you are advised to discontinue use and consult your doctor for further instructions. This supplement comes in a wide variety of sizes around the number of milligrams in each softgel capsule (ranging from 300-1200) and the ingredient lists vary according to the specific bottle. This review examines the 1000 mg capsules. 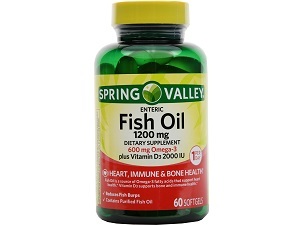 A 1000 mg bottle of Spring Valley Fish Oil contains 200 softgel capsules and can be purchased for $8.44 plus shipping for $5.99; twin packs can be purchased for $25.03 including shipping. Other websites offer free shipping on orders over $35, for example, so consumers can plan to stock up on their online shopping for additional savings. We were unable to find a satisfaction guarantee from the manufacturer for this product. Spring Valley Fish Oil capsules are large, but customers agree that despite their size they are relatively easy to swallow and without a fishy aftertaste. Spring Valley Fish Oil capsules are affordable and have an all natural ingredient list with no artificial colors or flavors. And this product has been purified with no mercury. Unfortunately, there are many customers who have complained of Spring Valley Fish Oil capsules melting together, congealing into a ball that could not be picked apart. And the source of gelatin in the product has been revealed to be pork which is unfavorable to those individuals who prefer avoiding this ingredient. But surely the most significant point of contention for us is that the recommended amount of Omega-3 fatty acids is below the recommended dosage of 1500 mg daily including 800 mg of EPA and 600 mg of DHA. With competitors producing affordable and natural supplements with these daily requirements, consumers are likely to want to try these other products for maximum health benefits. Top analysis brought to you from the Analyze That team. 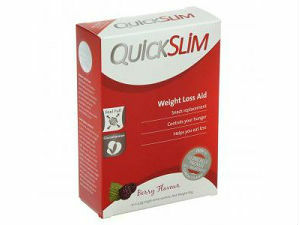 Does Quick Slim Really Burns Fat Efficiently?-Review? 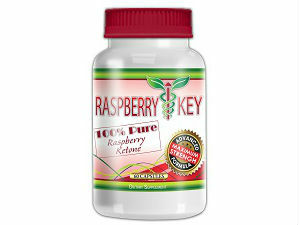 Does Raspberry Key Really Work?-Review? Will Celtrixa repair your Stretch marks?-Review? 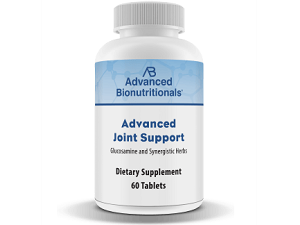 Advanced Bionutritionals' Advanced Joint Support-Review? © Copyright 2019. Analyze That.